iTunes users may face different kinds of errors from time to time. One such error is "iTunes can't read the contents of iPhone. Go to the summary tab in iPhone Preferences and click Restore to restore this iPhone to factory settings". This error does not exactly tell you what to do other than prompting to restore your device. But it is not recommended because doing so will erase all the data on your iDevice! Why "iTunes cannot read contents of the iPhone" Happens? The causes of this error may include corrupted or broken iTunes database file. A corrupted database file prevents iPhone to sync correctly with iTunes. Another cause might be an additional transfer program conflicting with iTunes. Sometimes such programs generate clash with iTunes and then a problem like this occurs. How to Fix "iTunes cannot read contents of the iPhone" Error? 1 One Click to Fix "iTunes cannot read contents of the iPhone"
One click to fix all iTunes errors and issues. Boost your iTunes to best performance by removing iTunes caches, junk, cookies etc. TunesFix is safe to use and does not delete your valuable iTunes library and backup files while attempting the fixes. 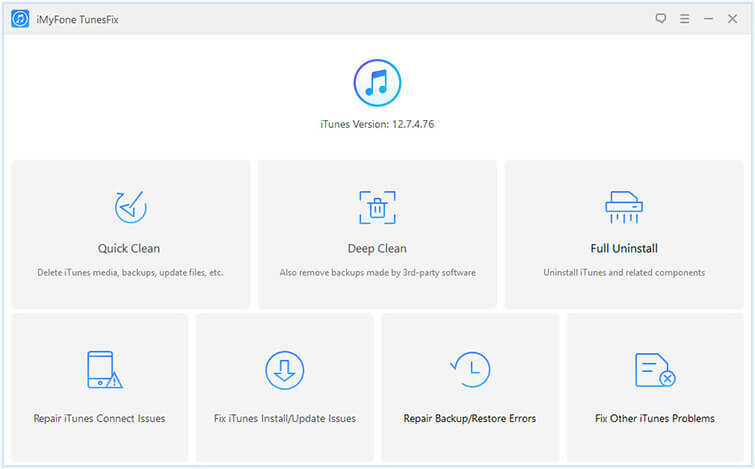 Automatically repair iTunes problems, the easiest solution for those who know nothing about computers. Step 1. Launch iMyFone TunesFix on your Windows computer, it will automatically detect your iTunes and its related components. Step 2. 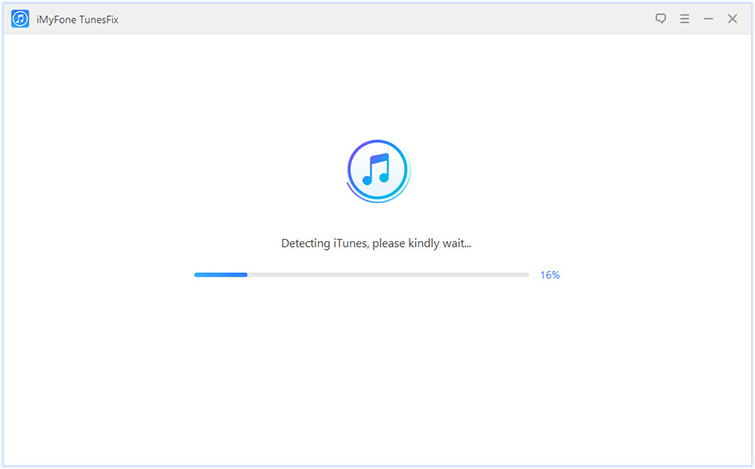 It will show you the details on which component of iTunes is lost or corrupted. Step 3. Click on Repair button to start repairing. 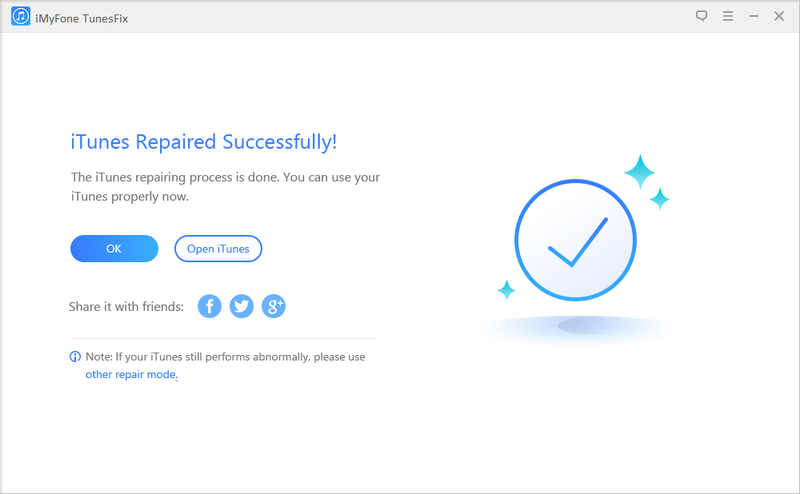 You can also try the Repair iTunes Connect Issues or Fix Other iTunes Problems modes to fix this issue. iMyFone TunesFix offer you the one-click solution to Completely Remove iTunes and its related components. Just choose the Full Uninstall mode, it will remove automatically. Step 2: It is also a possibility that there might be two Apple Application Support version installed. If that’s the case, then make sure that you uninstall both versions. Also, make sure to uninstall the components in the same order as listed above. 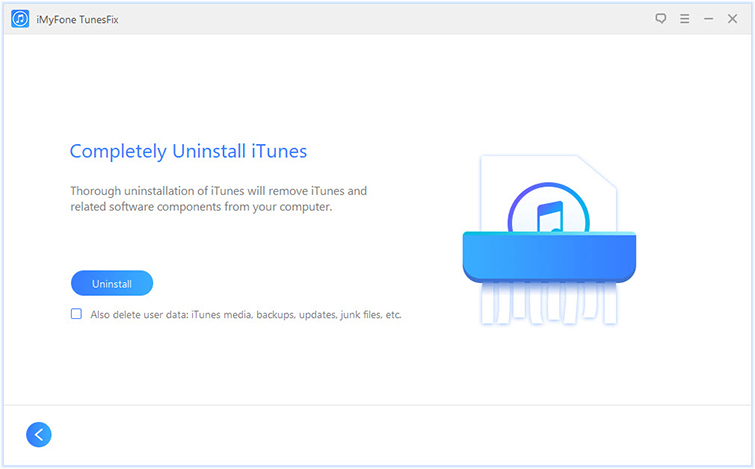 Step 3: After uninstalling, it is recommended that you restart your PC and then download and install latest version of iTunes from official website. As mentioned before in this article, a corrupted or broken iTunes database file may cause "iTunes cannot read contents of the iPhone" error to occur. So fixing/repairing the database file might solve the problem. Unfortunately, there is no official fix for this. So you will have to perform manual steps. 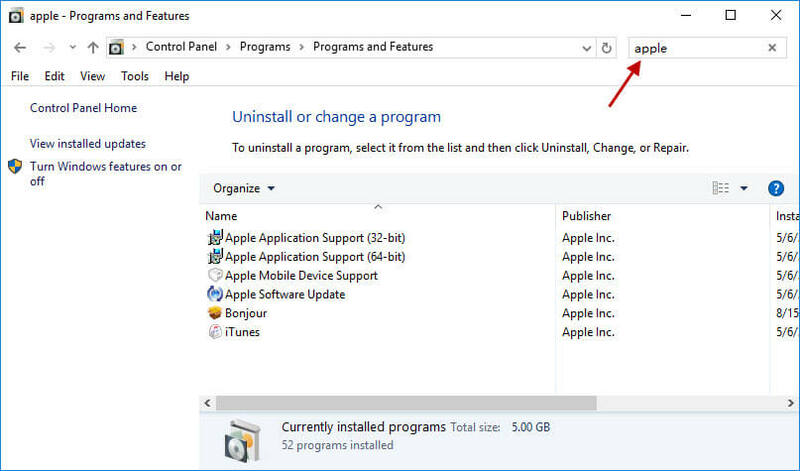 The key is to change the preferences or control file on your iDevice so that it updates/repairs the iTunes database, solving the problem. First, make sure that your iDevice is not connected to your computer. If it is connected, then it is recommended that you disconnect it. Now delete a song from your playlist on your iDevice and then restart the phone. After it is booted, connect it with your computer and launch iTunes. The song that you deleted from your playlist might cause the iTunes library to get updated and doing so might repair the broken or corrupted database file. Because of unexpected and annoying errors like this one, many iOS users prefer to use alternative file transfer tools. One of these third-party tools is iMyFone TunesMate. It has been specifically designed for iOS devices to help users bypass the limits of iTunes as well as avoid its various errors and bugs. TunesMate is free from all the bugs that are known to plague iTunes, so you can truly enjoy a seamless and smooth iPhone file transfer experience with this software. It offers tons of useful features. 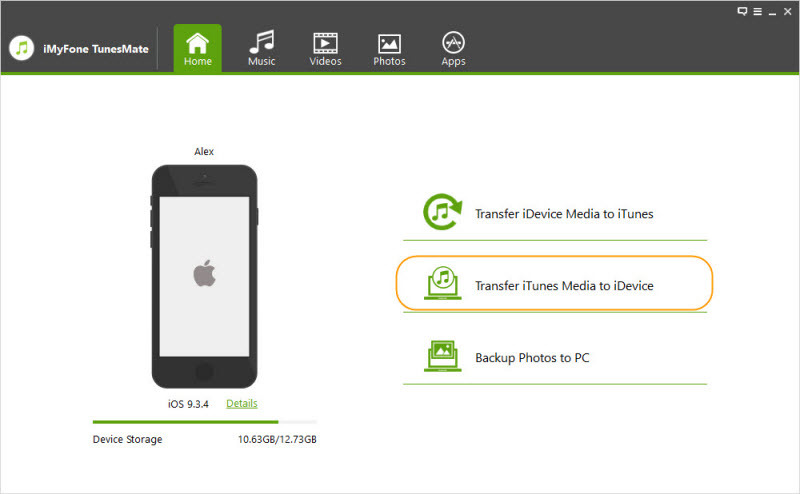 Two-way transfer feature allows you to transfer media files between your iDevice and computer/iTunes without hassles. Transfer speeds are very fast. In fact, faster than any other iPhone file transfer tool out there. TunesMate allows you to transfer iPhone files even when your iTunes cannot read contents of your device. You can transfer any type of media e.g. music, playlists, movies, videos, photos, podcasts, etc. with this software. 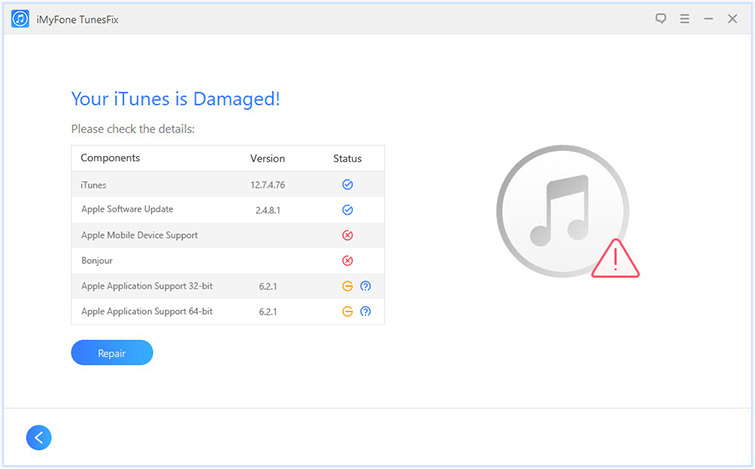 TunesMate can also help you rebuild/repair your corrupted or broken iTunes library. You don’t have to worry about losing any previous data in your iTunes library when transferring files via TunesMate. Step 1: Use a compatible lightning cable to connect your iPhone to your Mac or Windows PC. 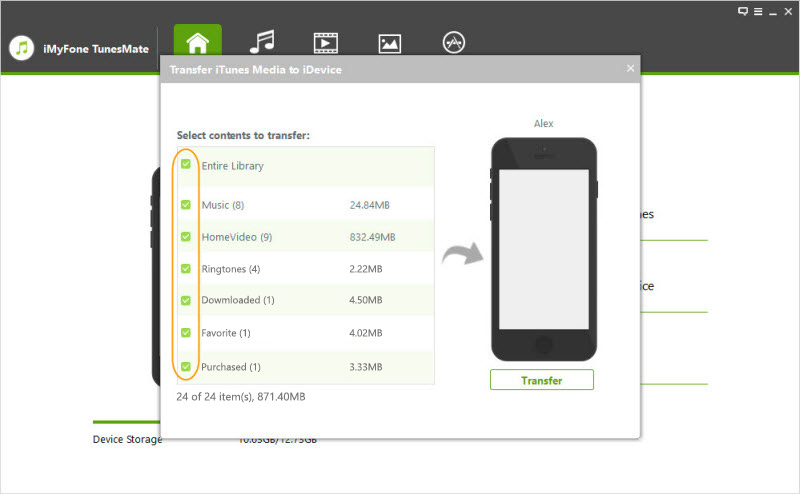 Step 2: Launch TunesMate and select Transfer iTunes Media to iDevice option from its main page. Step 3: Once the scan is finished, you will be prompted to select content for transferring. Tick Entire Library option and then click on Transfer button. That’s it! All the media of your iPhone will be transferred to your computer after this step.